Uganda Child Rights NGO Network in conjunction with other childcare organizations early last week organized and held a two-day national child rights convention and learning event at Silver Springs Hotel in Bugolobi. 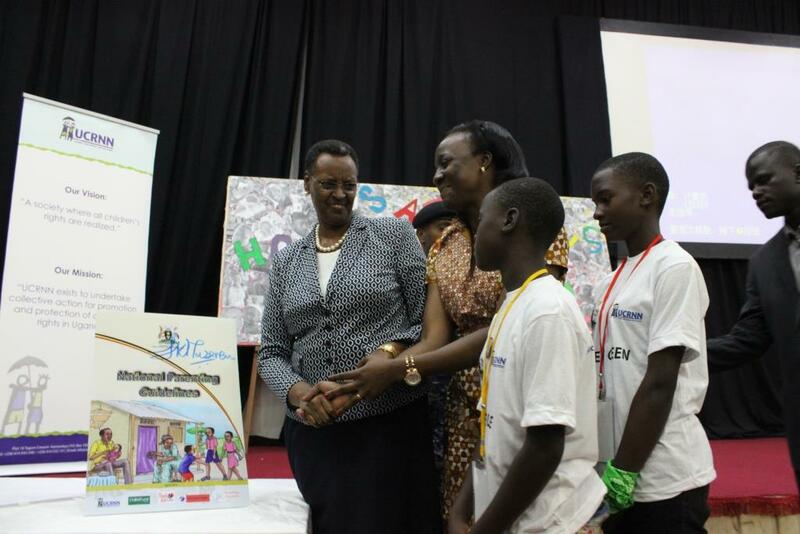 The event, which was held on Monday, June 13 and Tuesday, June 14, 2016, ran under the theme ‘Collectively ending violence against children’ and was opened by the Guest of Honor, First Lady of Uganda, Janet Kataha Museveni, who is also a strong advocate of children’s rights. “There have been a number of interventions taken by Government of Uganda that have been aimed at targeting children affected by violence. These have focused on prevention, response and management and rehabilitation of children and have taken on the form of direct projects research and advocacy. It’s against this background that UCRNN and its partners have convened this national learning event to discuss the impact of these interventions on the long term efforts to end all forms of violence against children focusing particularly on children’s experiences with these interventions and receiving their feedback to develop a robust national strategy,” said Olive Birungi Lumonya, National Director SOS Children’s Villages Uganda and Chairperson Board of Directors, Uganda Child Rights NGO Network (UCRNN) during her opening remarks. 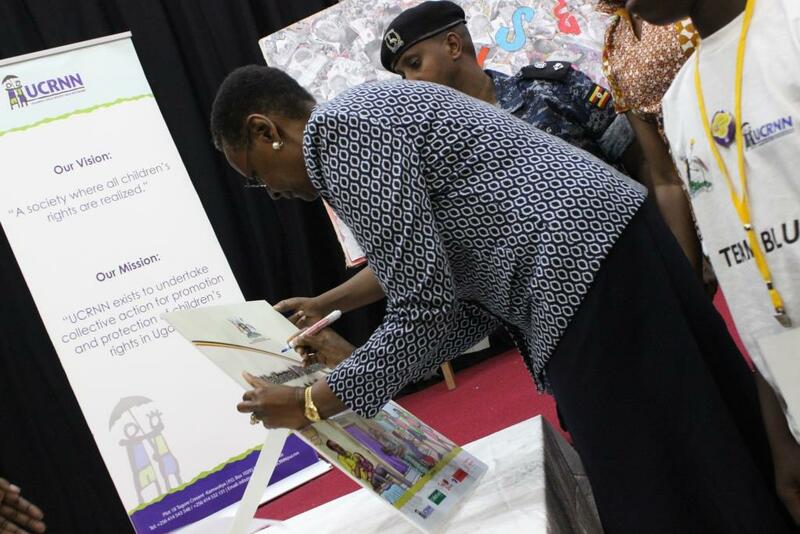 At the convention, First Lady Janet Museveni signed the National Parenting Guidelines that will act as a standard for Uganda’s parents in order to eliminate child abuse and violence. At the same event, the Declaration of Violence against Children was launched and signed. During sessions at the two-day convention, children shared their experiences on how violence affects them and what they thought can be done to better manage and prevent violence against them. The discussions explored strategies for prevention, response and case management, the latter leading to an improvement in access to justice for children, rehabilitation and re-integration into the community. 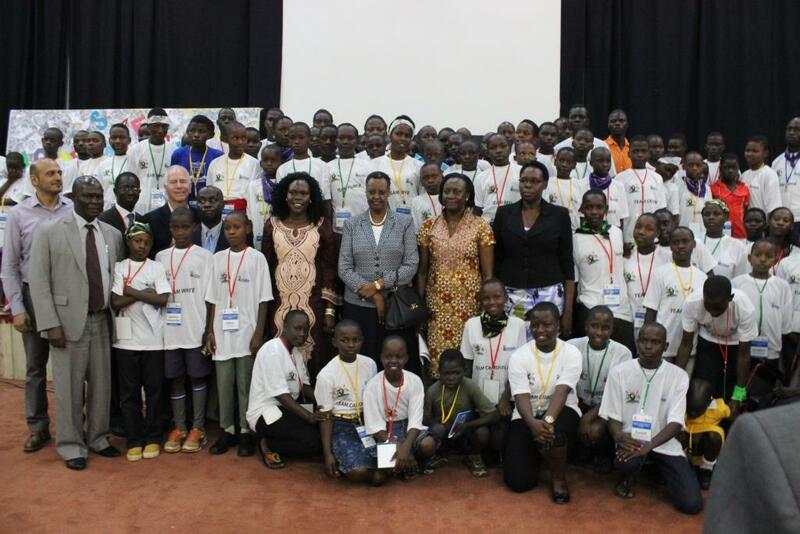 Prior to the convention was a 5-day children’s pre-learning camp where children from every region in Uganda, different schools and childcare organizations including SOS Children’s Villages Uganda participated. Participants from the camp were drawn from children who have been directly affected by violence at home, in schools, in the communities, children with disabilities, children in special situations for example those living in areas of conflict and those living on the street. The camp mainly focused on the four common types of violence against children namely; physical, emotional, sexual abuse and neglect. During the pre-learning camp, the participating children developed strategies that they shared with different actors on the prevention, response and management of abuse cases. UCRNN and partners actively worked with interested schools to participate in the camp and support affected children to build their cases for advocacy. UCRNN partners then met with the children’s representatives and the issues were presented through art, skits, debate, petitions and workshops. Schools are the second most common place where children experience violence the most ranging from corporal punishment to sexual harassment and peer on peer violence (bullying). In 2014 MoES (2014) produced guidelines on the reporting, tracking, referral and response on violence against children in schools. Ministry of Education and Sports (MoES) in 2006, banned corporal punishment in schools and developed a handbook on ‘Alternatives to Corporal Punishment’ to reinforce the ban. However, with limited implementation and supervision, sadly the practice still prevails. Like all campaigns that require affirmative action, UCRNN pledged to work with NGOs whose work focuses on ending all forms of violence against children to reach out to these children in difficult circumstances and those who are out of school.